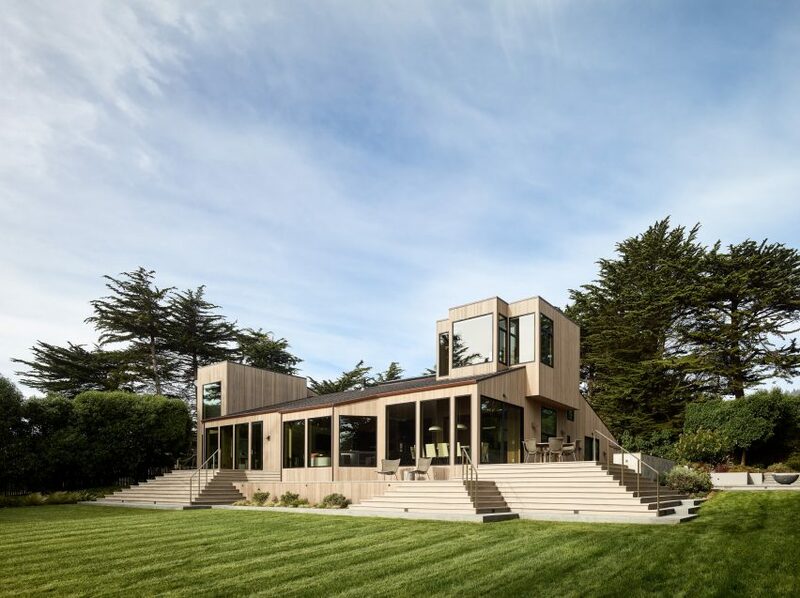 Updated interior finishes and a new guest house are among the modifications that US studio Butler Armsden Architects has made to a 44-year-old, wood-clad residence that overlooks the Pacific Ocean. 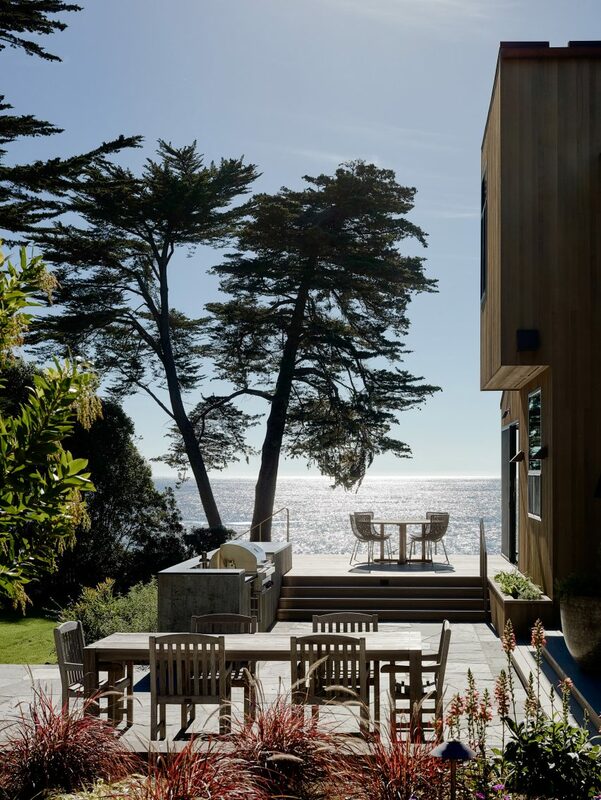 The holiday home, called Bluff Reach, is situated on a rocky site overlooking the ocean and dotted with cypress trees. 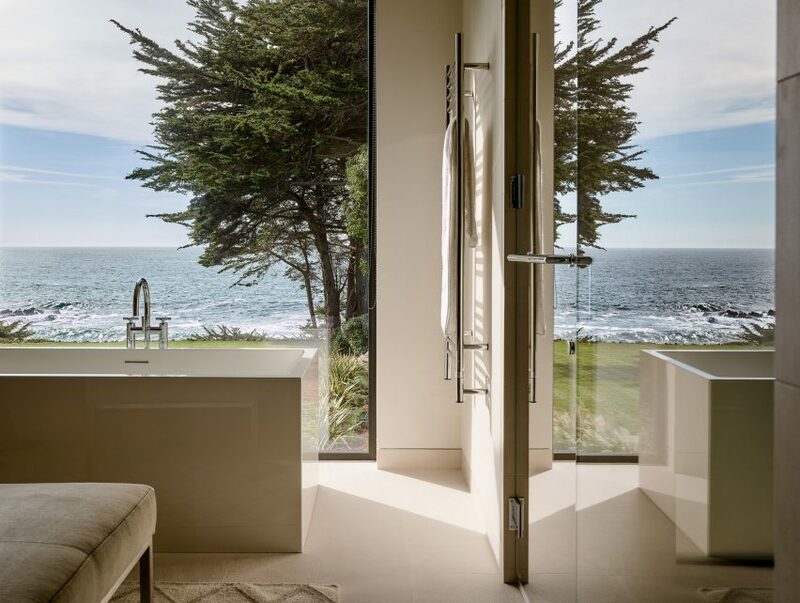 The dwelling is located in Sonoma County’s Sea Ranch development, known for its contemporary residences that take cues from nature. 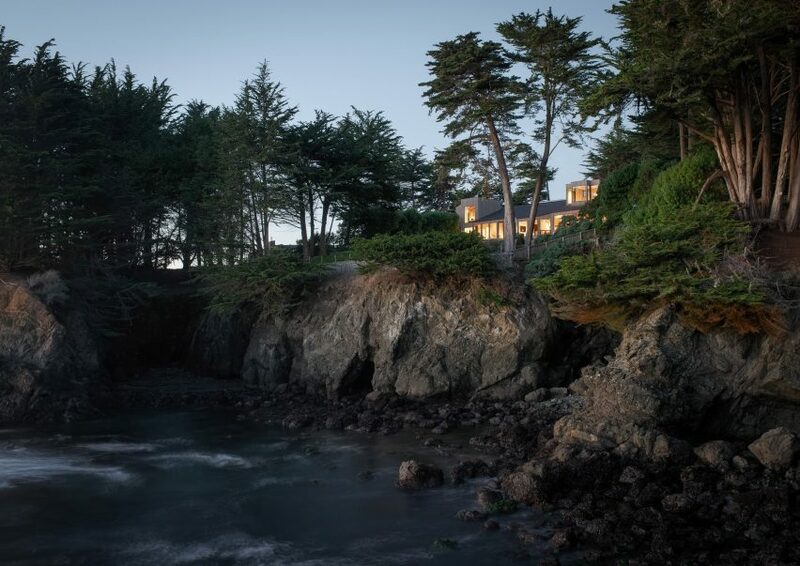 Designed for a San Francisco couple who desired a secluded retreat, the project entailed refurbishing and expanding a 1974 residence designed by Ralph Matheson, and renovated in 1990 by William Turnbull Junior. 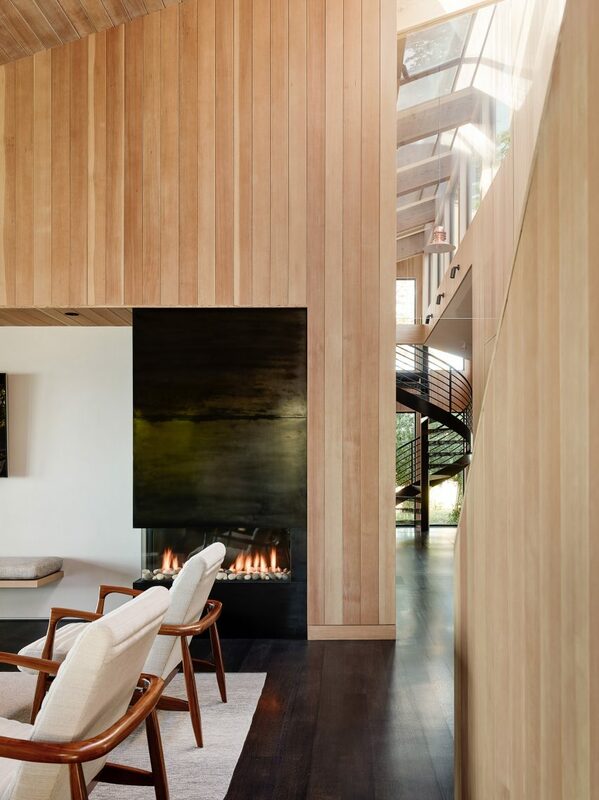 The sculptural, wood-clad dwelling features sloped roofs and boxy protrusions, and interior spaces bathed in natural light. For the latest intervention, the design team sought to retain original features while adding more space, and updating the finishes and decor. Preserving a strong connection to the surrounding landscape was a central concern. The home was re-clad in vertical boards of cedar, which replaced redwood siding. A new two-storey volume was added to the north elevation to house an office. 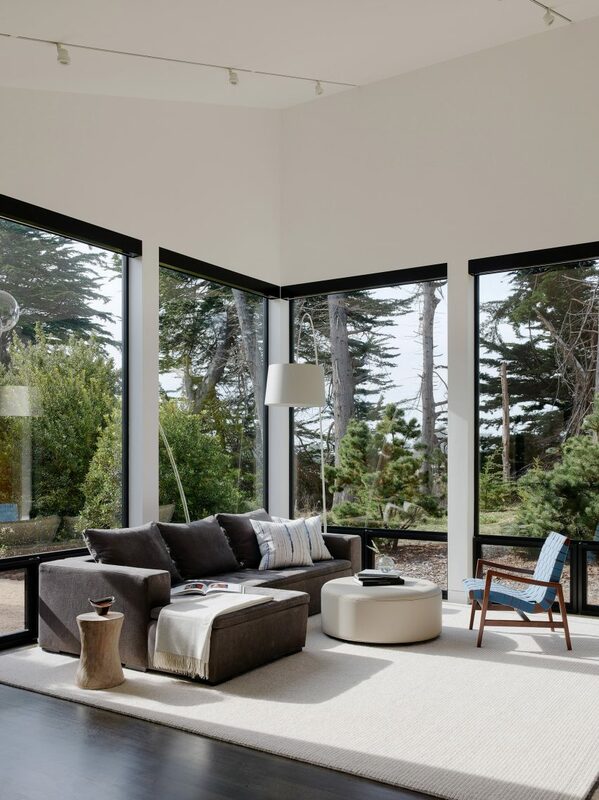 Inside, windows of varying sizes frame views of the picturesque landscape. 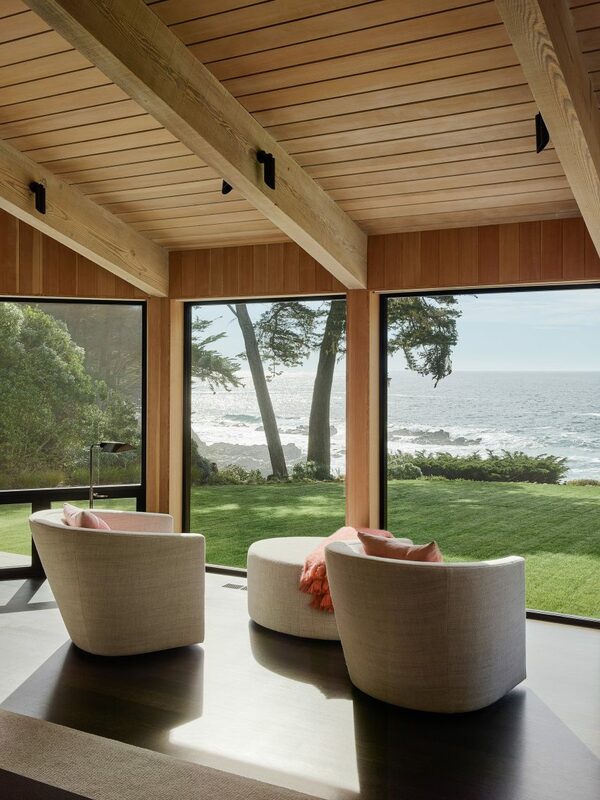 In the dining room, a sliding glass door opens onto a wooden deck, where the clients can relax and gaze upon the ocean. Wide steps lead down to a verdant lawn. Rooms feature contemporary decor and an earthy colour palette, helping create a serene atmosphere. Light-toned wood was used to sheath ceilings and walls. 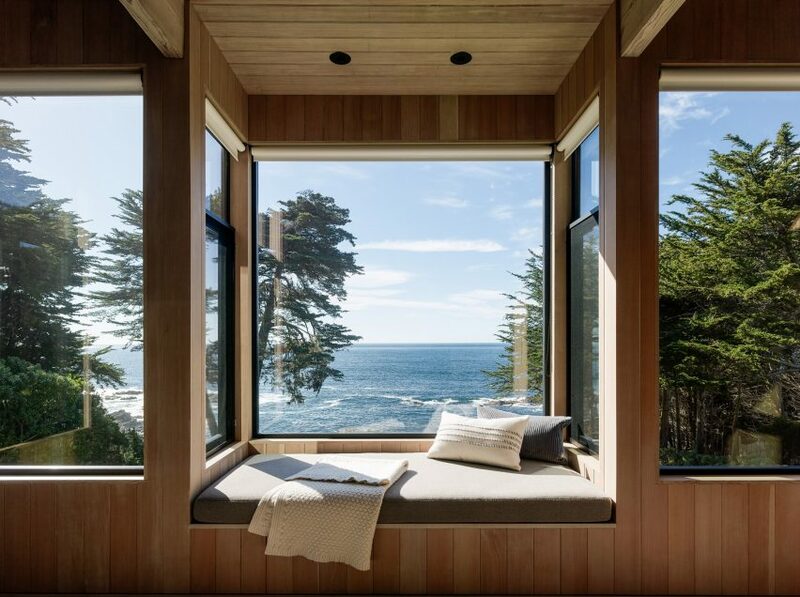 “The white-washed, vertical planks of Douglas fir that wrap the interior spaces recall the cedar covering the exterior of the home,” the architects said. The husband and wife’s distinct personalities are most evident in their offices. His is located on the upper floor of the new volume, and is accessed via a powder-coated-steel spiral staircase. 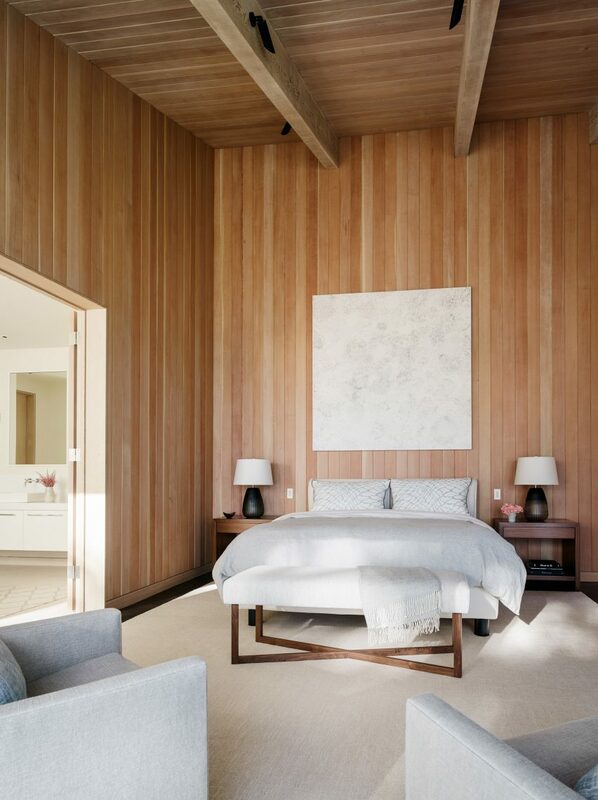 Other residential projects in northern California include a gabled home by Feldman Architecture that overlooks a vineyard, and a T-shaped residence by Schwartz and Architecture with a design inspired by tree lichen.